Plot Outline: Josh (Louis Corbett) and Ling (Li Lin Jin) thought they were in for a boring vacation with each of their parents at an archaeological dig in China. But the new friends soon discover they're right in the middle of an adventure when they find a mysterious monster that's been hidden deep in a temple for thousands of years. Josh tries to warn his father (Sam Neill) about the strange and magical creature, while Ling senses bigger forces at play. They soon realise that the monster is really an ancient Chinese Dragon, trapped on Earth because it's been separated from its magical pearl. 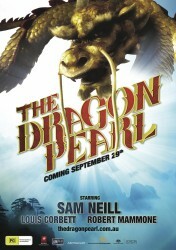 On a breathtaking journey of good and evil Josh and Ling must uncover the mystery of the pearl so that the dragon can finally return to its rightful place.